Did you know that Sebastian Bach of the rock band Skid Row had a stint as a Country music artist? He appeared in Nashville for the ‘Gone Country’ reality TV series singing Country songs as part of a music competition. Here you'll find our pictures and reviews of his performances at the Wildhorse Saloon, where the show was taped. 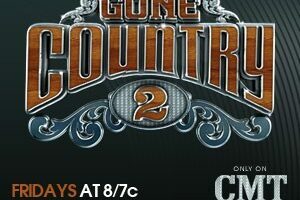 Last night was the season finale for Gone Country 2. Actually, the series hasn’t even started airing yet on CMT, but they were taping the final episode ‘live’ at the Wildhorse Saloon. We were front & center and captured these photographs of the celebrities performing.